Nasim obtained her law clerk diploma from Seneca College in 2011. She has years of experience in Civil Litigation field and she assists lawyers in our Subrogation Group with litigation management, preparation of Affidavits of Documents, Damage Briefs and motion materials. 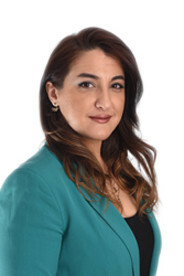 Nasim speaks fluent Farsi and is a member of the Iranian Canadian Legal Professionals.